Since it is day seven of my Jean Wash Challenge, I thought I would celebrate with a fabric freshen up. 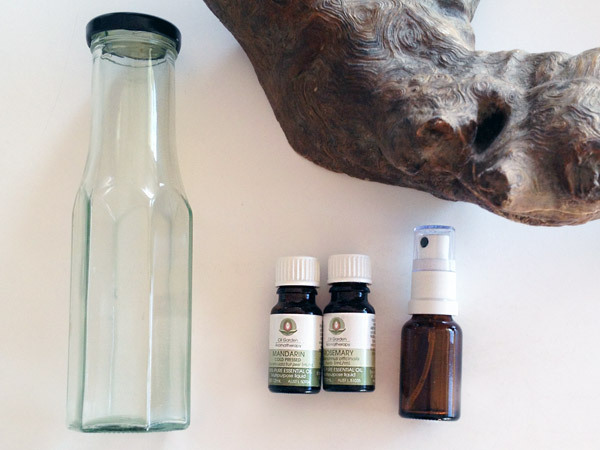 This deliciously easy recipe for aromatherapy fabric refresher came from Back To Her Roots and can be made in minutes with very few ingredients. A jar or bottle with a secure lid, I used an old sauce jar. Be sure to check out Back To Her Roots for volumes of each liquid. I purposely excluded them from this post as it is her recipe so she should get the web traffic (and good karma) for her hard work. 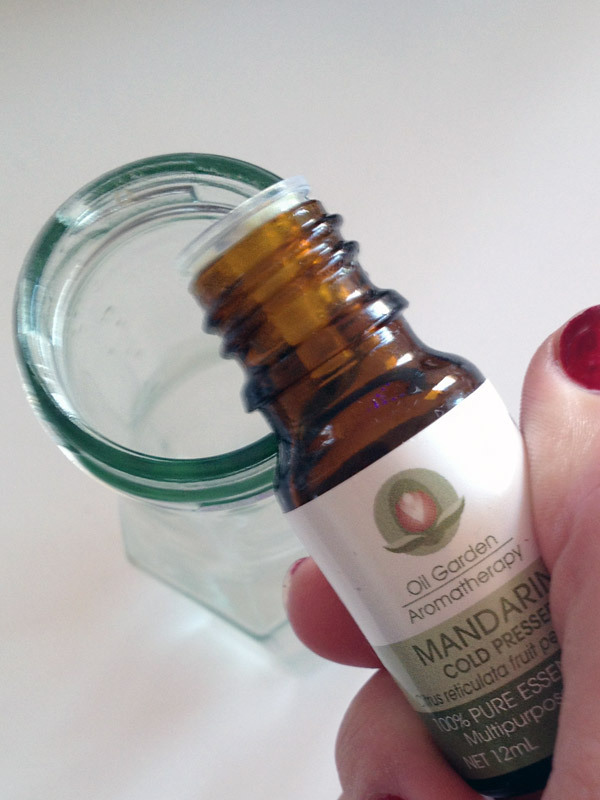 All you have to do is mix the Aromatic oils, I used five drops of rosemary and five of mandarin, and some vodka or witch hazel in the jar. Shake. 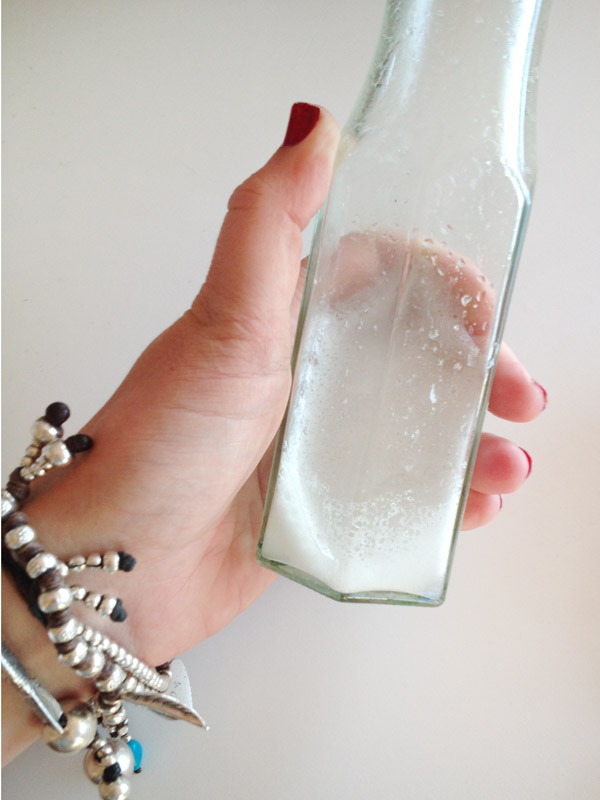 Add the water and shake until milky and mixed. Then pour into your spray bottle of choice. 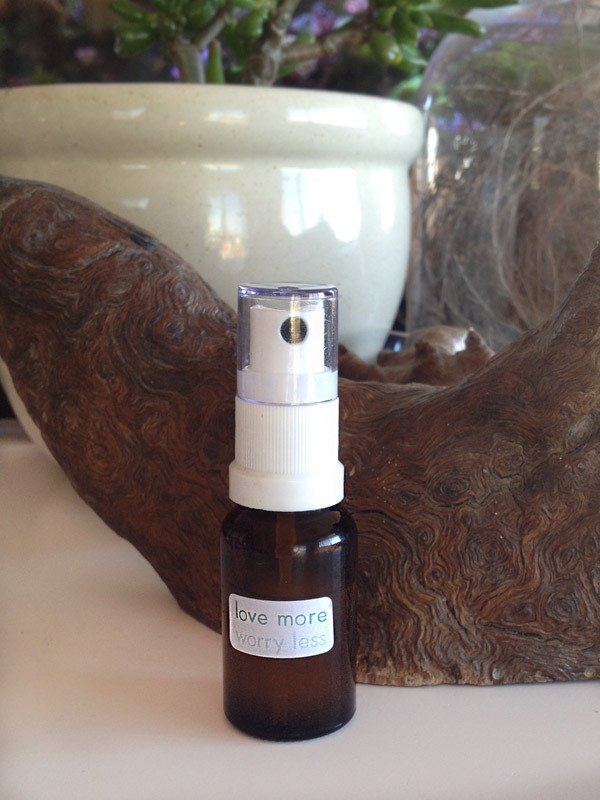 You have store quality aromatherapy spray in your favourite scent for very little effort or cost. I sprayed my 7 Day worn jeans and they now smell nicer than they did on day one! The little spray bottle I used is ‘travel sized’ so I will be storing the remainder in a cool dark place and topping up as needed. Didn’t see much point in buying a bigger spray bottle when I had that little one on hand (Rethink, Reduce, Reuse, Recycle) . Back To Her Roots actually has some super cute labels you can print for her lavender linen spray recipe. I decided to use a little quote sticker to decorate mine, a constant reminder to ‘love more and worry less’ will be embedded in my brain when I smell the mandarin and rosemary scent. Please feel free to share your scent combinations with me in the comments below.